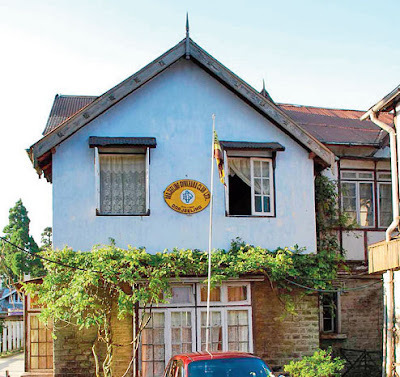 Darjeeling: The district administration has filed an FIR against the chairman and other officials of Darjeeling Gymkhana Club for allegedly "grabbing" government land amid murmurs that they were targeted for their perceived proximity to Gorkha Janmukti Morcha president Bimal Gurung. Club chairman Dinesh Chandra Rai, secretary Madan Subba, member D.K. Pradhan and Brij Mohan Garg, the erstwhile secretary, are named in the FIR filed by the Darjeeling subdivision's land and land reforms department. Pradhan is also the chairman of the Morcha-run Darjeeling municipality. Considered close to Gurung, Pradhan is currently in jail in an arson case in the latest phase of the Gorkhaland agitation. Garg, a well know businessman in Darjeeling, had also been arrested in arson cases during the statehood agitation in 2013. "Based on the complaint, a case of cheating and forgery has been started under various sections of the IPC and West Bengal Land Reforms Act, 1955. A probe is on," said a police source. As Trinamul leaders in the hills had alleged earlier this year that Gurung was interfering in the running of the club, some Darjeeling residents said the institution might have become a target of the party. Sources said the club had been accused of constructing an unauthorised building in an area of 0.59 acre and grabbing 0.09 acre of a government plot. Sources said the FIR had been registered on September 25, though the building had been completed two years back. The club's chairman, Rai, could not be contacted. No one from the club wanted to speak on the issue. The district administration has filed an FIR against the chairman and other officials of Darjeeling Gymkhana Club for allegedly "grabbing" government land amid murmurs that they were targeted for their perceived proximity to Gorkha Janmukti Morcha president Bimal Gurung.